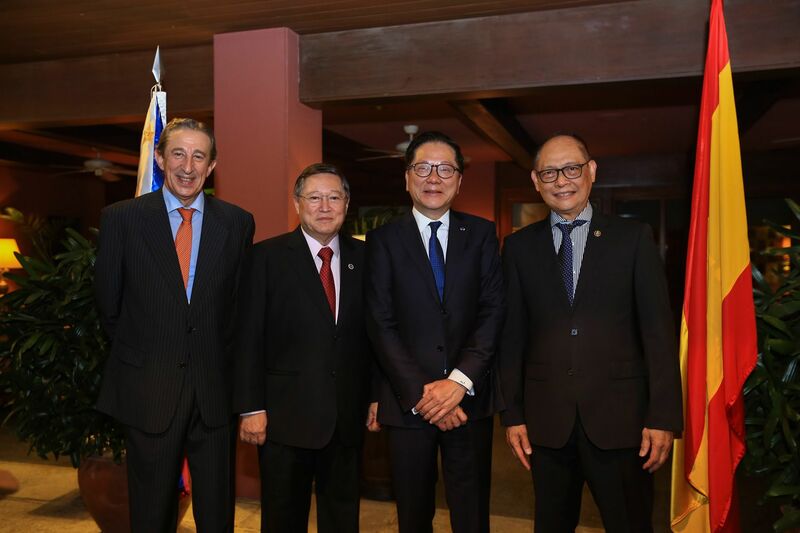 Alliance Global Group’s Dr. Andrew Tan was bestowed the Encomienda de Numero de la Orden del Merito Civil by the government of Spain through the Spanish Embassy in Manila. The Spanish Ambassador Luis Calvo personally pinned the award on Tan, and noted the tycoon’s significant contributions and support to the programmes of the Spanish government, both here and in Spain. The Commander by Number Grade of the Spanish Order of Civil Merit award was established by King Alfonso XIII in 1926 to recognize ‘the civic virtue of officers in the service of the Nation, as well as extraordinary service by Spanish and foreign citizens for the benefit of Spain.’ Tan’s holding group, known as one of the country’s most successful conglomerates, has been doing business with Spain for the past 30 years. One of his companies, Emperador, which has become the world’s largest brandy producer, has bought Spain’s oldest and largest brandy company, Fundador, two years ago. It also owns over a thousand hectares of vineyards in Toledo and Jerez. Tan also has investments in real estate in Spain’s capital, Madrid. He now owns one of the city’s most iconic skyscrapers, the 57-storey Torre Espacio, which houses Emperador’s headquarters in Spain. “Through this award, it is my wish to inspire and help bring Spanish businessmen to the Philippines to also invest here, especially in our booming tourism and infrastructure industry,” Tan said to the audience during the short but sweet ceremony.